Cast iron pipes in sewage systems are rarely used today. But if you decide to use them, then you should know the method of their connection. This is what this article will be about. We will also talk about how to connect cast iron pipes with other materials, what tools you can use and how to seal joints. The first step is to clean the socket itself and the smooth end of the cast-iron pipe from debris and dirt. Also check for foreign objects in the pipe itself. 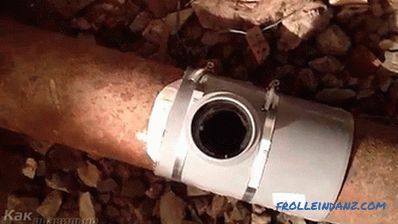 The smooth end of the cast-iron pipe is inserted into the socket of the previous one. Then the so-called caulking of the tow is performed. 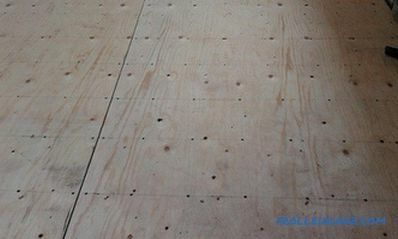 This will provide improved sealing of the joint. For this procedure, use tow, a special stick and a hammer. Coiled tow hammered into the socket. At the same time try not to overdo it, if the material gets inside the pipe, it can cause blockage. Stamping occurs before filling the socket by two thirds. The next step will be filling the remaining space of the socket with cement mortar. This is guaranteed to prevent leaks to appear. For this you can use cement grades 300 or 400. It is diluted with water (in the proportions of 9 parts of cement to 1 water), and the resulting solution is poured into the socket. To prevent cracks from drying out on the surface, the pouring area is covered with a wet rag. 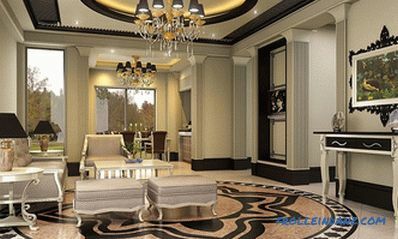 For such work, you can use modern materials. For example, bitumen mastic and silicone sealant are great. Except for cast iron pipes with a bell, in the creation of pipeline systems use and smooth design. For their compounds use various devices. Among them are couplings, saddles, crosses, elbows, etc. Which one to use will depend on the diameter of the pipe and the type of connection. If pipes of the same diameter are connected, a coupling in the form of a cylinder is used. Inside this fitting there is a thread. To connect pipes with different diameters, a device in the form of two cylinders is used. This coupling is also equipped with an internal thread. 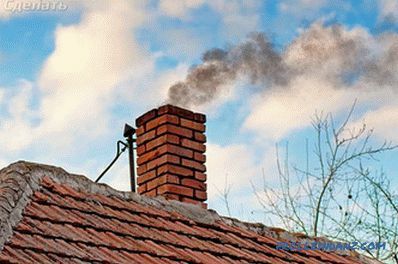 A futorka is used in the heating system. Such a coupling is all the same cylinder, only with thread, both on the inner and on the outer surface. The process of connecting using a coupling is quite simple. First you need to mark them to see how each pipe should go into the coupling (you need to calculate so that the ends are connected exactly in the middle). Then both pipes are simply inserted into the coupling. For sealing, you can use a special sealant. But the pipeline may run at an angle or include branching. For this serve other devices. 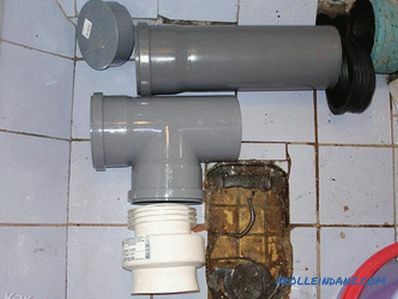 For example, the connection of cast iron sewer pipes at an angle, is carried out with the help of taps. They are a piece of pipe, bent at a certain angle (10, 15, 30, 60 and 90 degrees). Tee. With it, you can connect three pipes at once into a single system. As a rule, such a connection is necessary in places of branching of the sewage system. Cross. A design that helps connect four pipes at once. The Nurse . Such a device allows connecting a pipe of smaller diameter to the main line (for example, from a stand-alone plumbing device). All these devices can have sockets or straight sections at the ends. 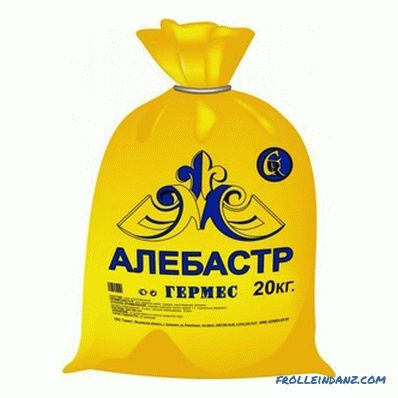 For sealing compounds used various sealants or tow. 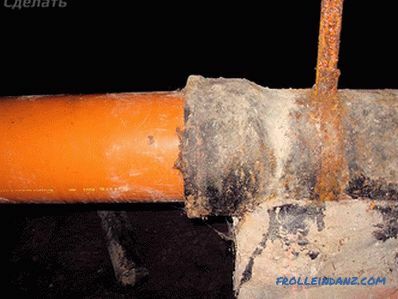 If you If you decided to change the sewage system using modern materials, then you may have a question - how to connect a plastic pipe with a cast iron? Many home craftsmen simply insert one into the other, and close the connection with cement mortar. In this case, the plastic may be deformed and leakage will appear. The junction of the cast-iron pipe and plastic products must be done very carefully. The fact is that when heated, these materials expand in different ways. As a result, the sealing will be broken and the flow becomes inevitable.Mechanical stress (for example, constant vibration or shock) can also affect leaks. There are two ways to properly connect the pipes of plastic and cast iron. The choice will depend on the presence of the socket. If it is, then the first thing you need to visit the store. Here you need to purchase a special adapter that will be installed in the socket. It comes with a standard diameter for sewer pipes (usually 50 and 110 mm), but you can also find a non-standard option (if you need it). 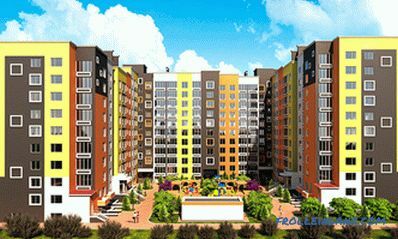 Therefore, before buying, specify this value. 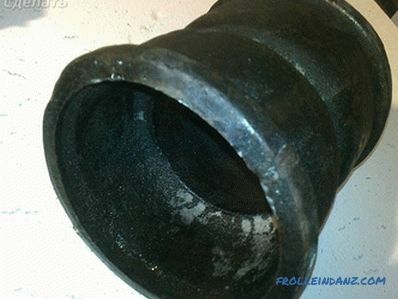 Now you need to clean the mouth of the cast-iron pipe from rust and dirt. The purchased adapter is inserted into the pipe. 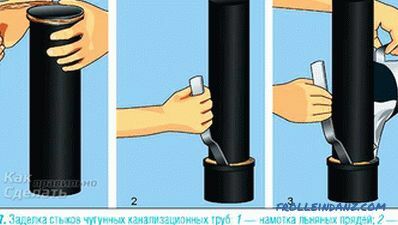 It is better to grease the socket and the plastic element with a sealant (for example, silicone). Make sure that he goes there completely. Then a plastic tube is inserted into the adapter. The connection is complete. This method is fast and simple, and the connection is reliable. In addition, it is easy to dismantle for cleaning. When installing do not forget about the slope, it should be in the direction of the riser. 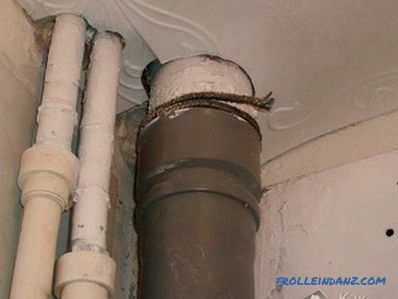 If there is no socket on the cast-iron pipe, then two adapters of the required diameter should be used for the connection. First of all, clean the ends of rust and dirt. Then a rubber adapter is put on the cast-iron pipe, and a plastic one is put on it. In the last and will be inserted plastic sewer. Lubricate all connections with silicone (or other suitable) sealant. This will prevent leakage and unpleasant smell. Connection using two adapters, as well as the previous one, can be easily disassembled for repair. If the sewage in your toilet is made of old cast-iron pipes, when you buy a new toilet, find out how to connect it. Here everything will depend on the direction of release of the toilet bowl (that part of the structure from where the drains fall into the sewage system). 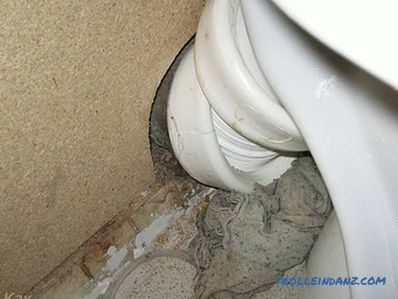 If your sewage system has not changed since the house was built, the pipe can stick out of the floor, at a decent distance from the wall (unless it is a common riser going to the upper floors). For this case, you need to buy a toilet with a vertical release (at the bottom of the structure). A toilet with a vertical outlet is connected very simply, just insert it into the pipe socket. A horizontal flush toilet is also connected. Such designs can often be found on imported products. To connect such a toilet bowl, insert the outlet into the socket. Docking place is better to seal up with sealant or tow. So, you will not allow leaks and prevent the appearance of an unpleasant smell. The more oblique release version. To connect such a toilet to a cast iron pipe, you can use a tap with the desired angle. It is inserted into the pipe, and the release of the toilet is connected to the outlet. The junction is also desirable to seal. But with all these connections, you need to connect the toilet directly to the pipe. This does not allow to install a sanitary device in a convenient place for you. The installation location will depend on the location of the sewer pipe. That is why a special device is used to connect the toilet bowl to the sewage system - a corrugation. The plastic corrugation is easily put on the toilet bowl outlet (if it is oblique or horizontal), and the other end is inserted into the socket of the pipe. This method allows you to install plumbing in any place convenient for you. It is easy to stretch a corrugation on the necessary distance and to turn in any planes and on any corner. In this case, the junction can not seal. The corrugation is equipped with a rubber nozzle, which fits snugly into the socket of the pipe and prevents moisture and odors from seeping in. 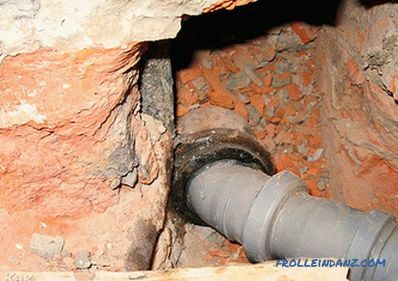 If there is a cast-iron sewage system in your apartment and you need to make a transition from cast iron to plastic, then by viewing this video you can understand how to do this job correctly.